I can't believe the weekend is already over! I had quite an exciting one filled with shopping, eating, and Barneys. I must say I went a little crazy in the spending department this weekend but I really did get some great things. My friend and I traveled from West 17th to Soho in search of great new items. I've only posted the items that I bought from the Barneys sale today, and will post the rest of the new items tomorrow. My computer was acting weird last night and was taking forever to load. Hint: I purchased about 75% of what was on my wish-list from Friday! This pocket book was given to me as a birthday gift from my parents when I was in High School. Each year they try to get me a nice/durable pocketbook for my birthday. I love this one for obvious reasons... the studs! I'm also obsessed with the leather, it looks so worn but great at the same time. The brown color with the dark brown accents is perfect. 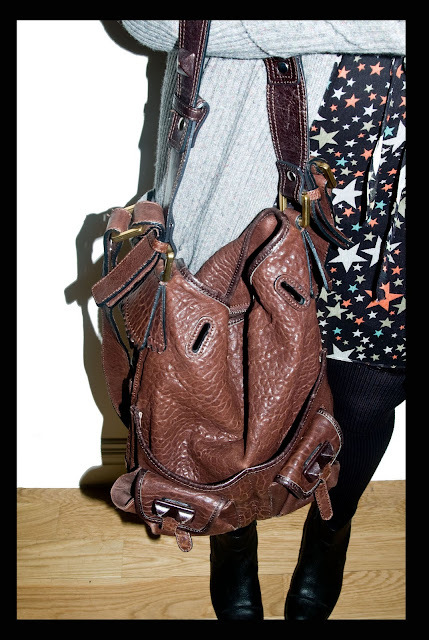 The bag also has a long strap to carry on the shoulder and it's big... need I say more? This past weekend I decided to brave the epic Barneys Warehouse Sale. I try and go every time but was discouraged in the beginning of this season's sale because of my lack of funds. This past weekend was the last two days and they had HUGE discounts. All the woman's wear was 50% off the already discounted prices. 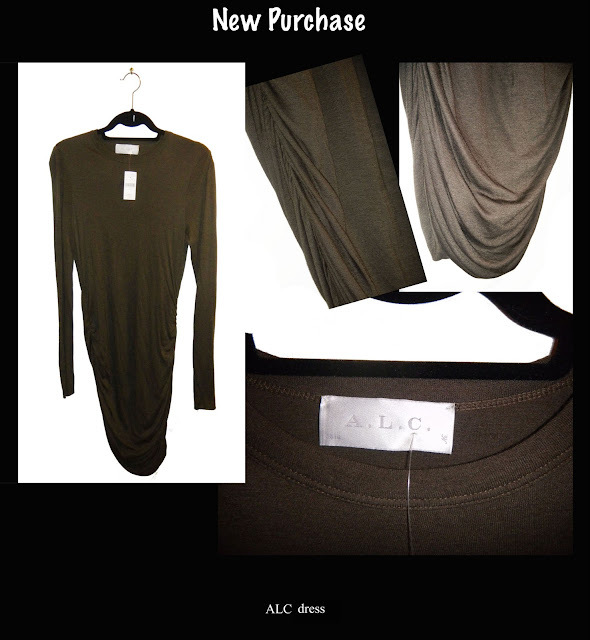 I'd fallen in love with ALC while working at EDIT over the summer but could never afford their things because they're so expensive. At the sale I found two ALC dresses which I fell in love with and was able to purchase for 60 dollars each! The striped ALC dress above, as well as the Helmut Lang skirt below, I tried on at the actual store and did not purchase (thank God). When I went on Saturday to the sale I only bought the two pieces below, but after leaving I kept on thinking about the striped ALC dress that I didn't buy. It seemed perfect for those balmy Florida nights (yay only one more week) so I woke up early on Sunday to run and get it. I was so happy I got there early because they only had one left and it was hidden behind some other dresses on the rack. I'm very, very happy with my purchases. I must say this was the most successful sale they've ever had (for me at least) and I will definitely be returning for their next one (but definitely the last weekend so I can get the extra discounts)! For those of you who didn't go, the atmosphere there is insane. I'd say it was the most hectic environment I've ever encountered with one of their sales. Women were trampling over one another, it's hot and wreaks of sweat. It's seriously a very unique experience. On Sunday people were clamoring for the last goods so women were just changing at will in the middle of the shopping floor, without even going to the dressing room. It was priceless. This skirt I fell in love with last season at Barneys. I've been eyeing it for quite some time and when I found it at the sale, in my size, I knew I had to have it; it was fate. The pattern is just too great to pass up. I've decided that I'm going to try and incorporate a small food section in here every now and then. The BF and I love food/ going out to eat so I figure it's great to incorporate some of our culinary adventures here as well. I haven't been cooking as much as I used to but I am planning on picking it up again and, hopefully, will be able to include some of my feasts in here as well. I couldn't believe it but my BF joined me at the Barneys sale Sunday. He absolutely hates to shop so I was shocked that he would come along. Afterward, we went to The Viceroy for brunch. 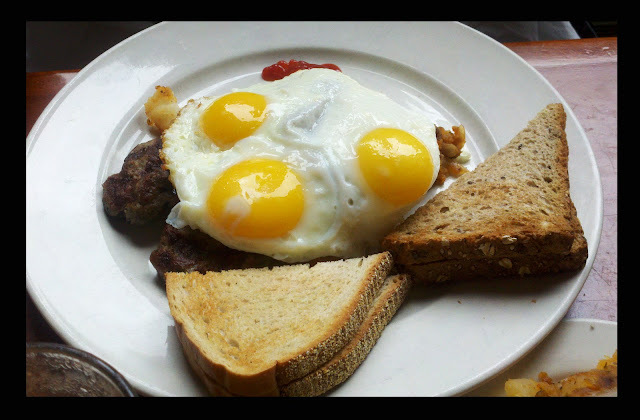 It was delicious and their homefries definitely made up for his unhappiness at the sale. 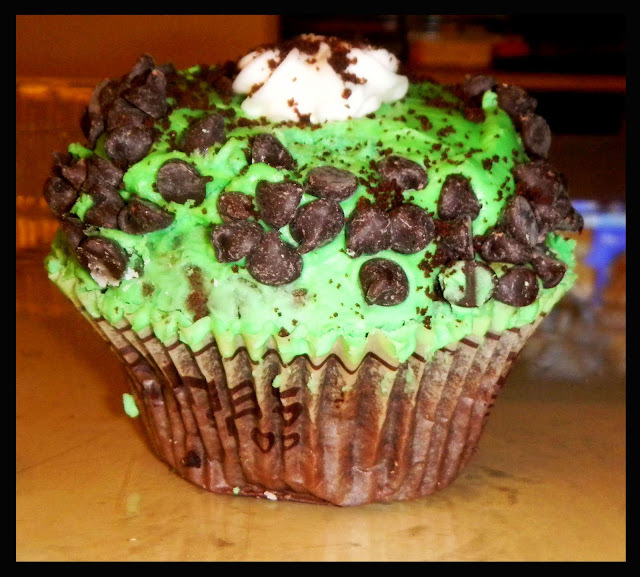 My second love, the Grashopper cupcake, from Crumbs. 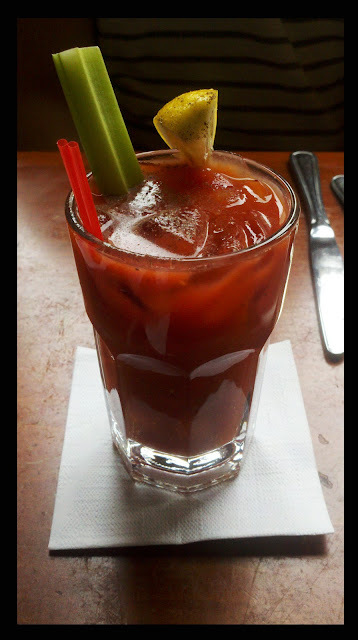 My favorite drink of all time is a Virgin Bloody Mary, and what better time to have it then at Sunday brunch. 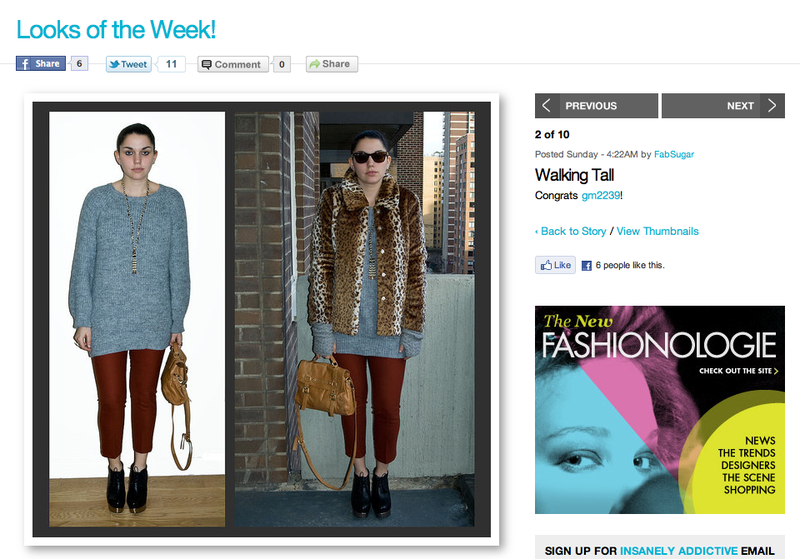 This weekend I was also featured in the Looks of the Week at Fabsugar.com. 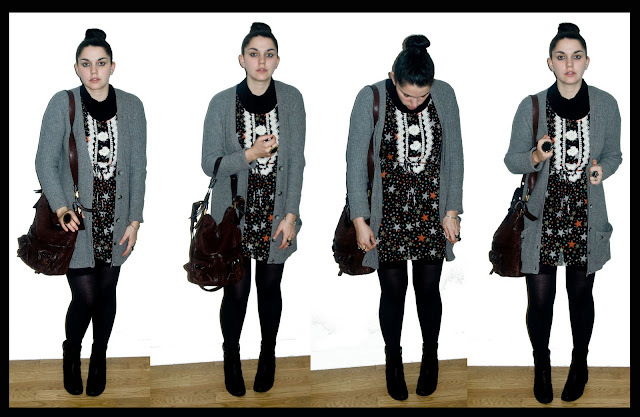 Check out my look, as well as the others, here. I have a busy night planned of food shopping and cooking which should be fun. I have a lot of great things to look forward to, this weekend my dad and I are taking a two day intensive digital photography course at the ICP and then Sunday I'm headed to Florida. I can't wait to be tan and warm! Love the bag! 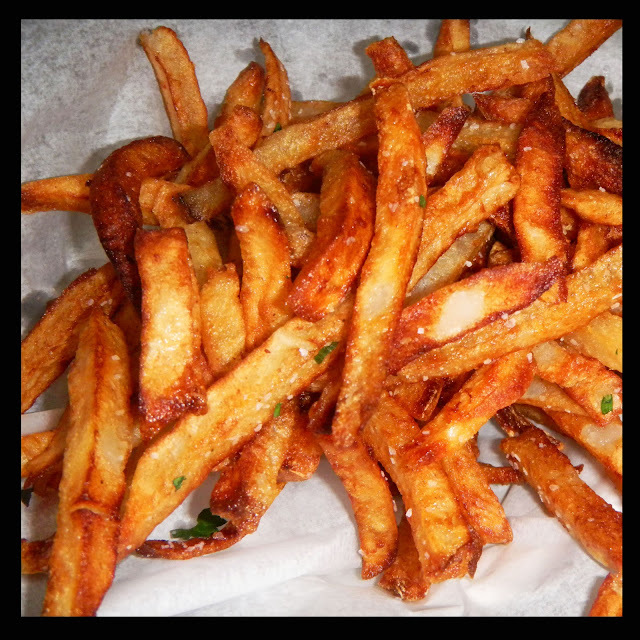 And the food looks so yummy, makes me all hungry :) X. Love the Chloe bag and the Helmut Lang skirt!! Lovely pattern there. Your soo lucky, all those bargains for such gorgeous items, the Chloe bags, the feature AND Florida! I love what you bought though, they are all amazing! 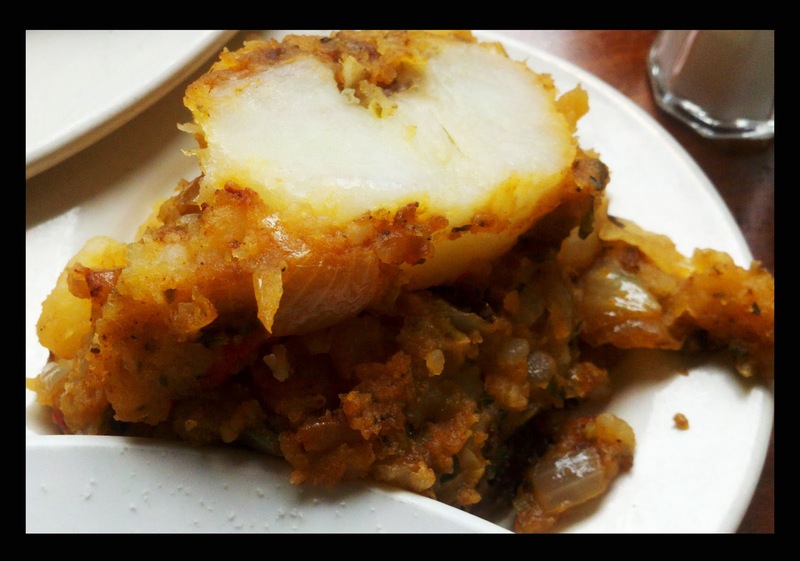 This is such a cool blog post! I love your style! sure lady i'm following...see u soon..tomorrow outfit!! Ooh love the starry dress you're wearing... its so cool!! P.S. The food looks delicious! love the outfit... but all that food is making me hungry!!! Love your bun and house of harlow ring! LOVE the ring, loved the black ALC dress and ADORING the skirt. Ohh and the cupcake looks delicious! gorgeous, love this outfit! hyped! That Helmut Lang skirt is so nice. I would love to have it in my wardrobe. A very nice pick I would say. love the first dress, and the food looks so good! I love Virgin Mary's too. everything looks so yummy! That Helmut Lang skirt is gorgeous, lucky you! i'm hungry now! after this post! ahahahhavery cute post!! the outfit is amazing! love the stripes and i also love the chloe bag!!! hope you'll follow me so i'll do the same!!! 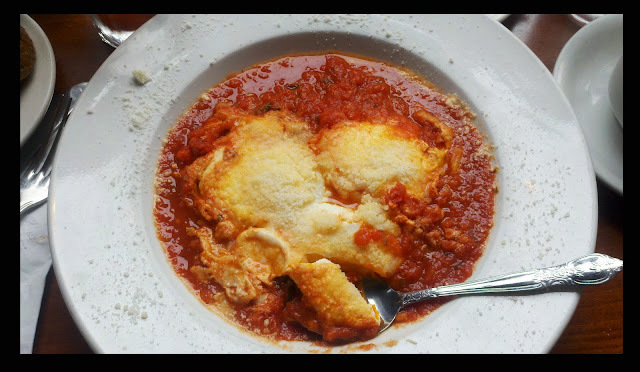 The food pics in this post made me drool all over my keyboard. wow can you never post food pics again! starving college student!!! haha... no but really... u look amazing, just started following your blog on blog lovin!!!! Horay for Florida! And what a fabulous idea to get a purse for your b-day every year! Wowza that food looks yummilicious! That food looks incredibly yummy! And that's such a great purse. I can never find a good brown one. Thanks for stopping by my blog. And thanks for following. I'll be following you too. I really like the stars on your dress. That sale sounds crazy, but I would go nuts for great deals if I really loved something. u look good in all pf the photos! I love your dress, so beautiful! 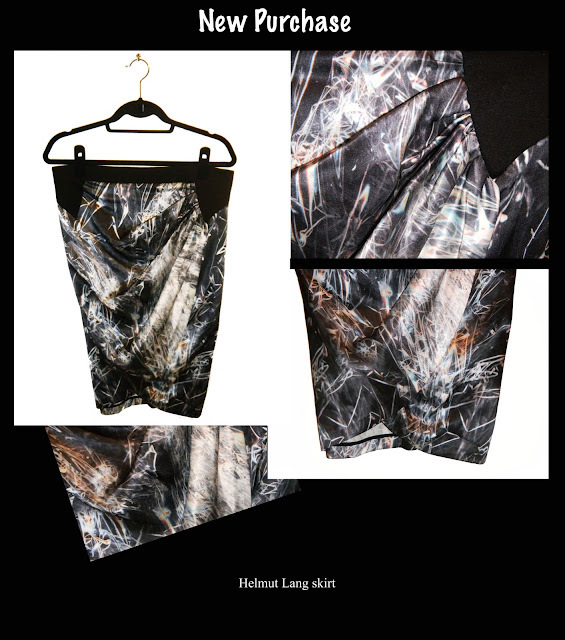 Like the helmut lang skirt! Great new purchases! That Helmut Lang skirt is my fave! I would totally wear that on the 4th of July! what a beautiful stars skirt! Schu-it & Portfashion.com is a family run business that focuses on high quality service where customer satisfaction is very important to us.